Take online and onsite seminary-level training in your language, wherever you live and serve! Most church leaders around the world do not have access to the training and tools they need to develop churches that transform lives and have a lasting impact on their communities. 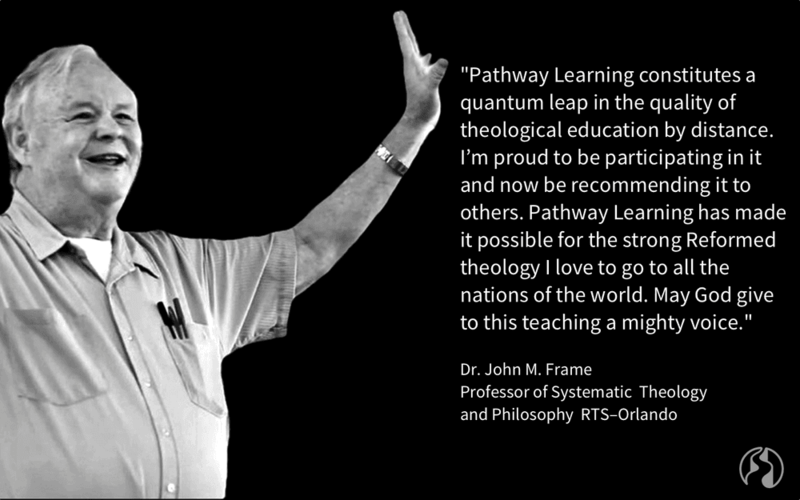 In response, Pathway Learning has designed and developed an innovative online and onsite platform that can now bring practical, high-quality, seminary-level education to leaders where they live, in their language, and adapted to their culture. Join church leaders from more than 50 countries and 300 denominations who have taken this training. What makes Pathway Learning different? Practical Focus Receive not only biblical and theological education but also practical education that equips you for effective ministry. Proven Methods Experience proven teaching methods so you'll learn better and faster with less passive listening to lectures and more active learning. Culture Customization Customize and adapt the curriculum not only to your language, but also to your unique culture where you live and serve. White Label Use your own brand (white-label) and even add your own educational resources to maximize the impact on your students. Blended Learning Experience a blend of online and onsite learning in groups, led by facilitators, using both formal and non-formal learning methods. Measurable Competencies Measure not only your knowledge, but also the development of your character and skills needed for success in ministry. Verified Certificates Earn certificates that verify your achievements in seminary-level education for greater ministry impact. Degree Credit Take courses that meet the academic standards required by seminaries for accredited degree programs. Lifelong Learning Access courses, not just when you're preparing for ministry, but later, in ministry, when you really need help. Spiritual darkness, societal, and cultural decay are reaching unprecedented levels. Only gospel-centered churches can change that. Join below to learn more. Thank you! Please check your inbox (& spam) to confirm.